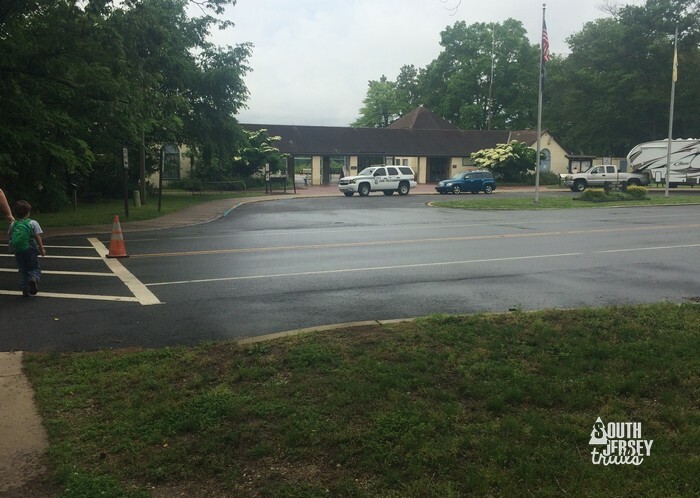 Parking – Large lot located on Almond Road. Benches? Yes, but concentrated at the lake. Did not see any on the other 2 1/2 miles of the trail. Markings – blazes on trees, signs at intersections. 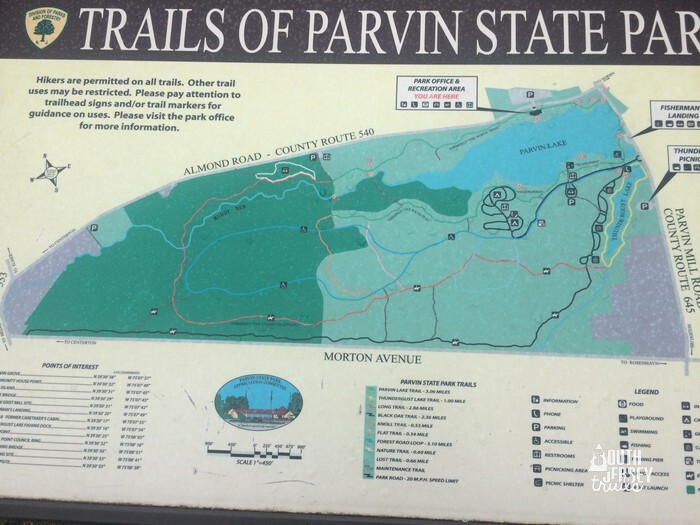 Description – So, we FINALLY went to check out Parvin State Park, which had been on my to do list from way before I started this dumb blog. And it was great! 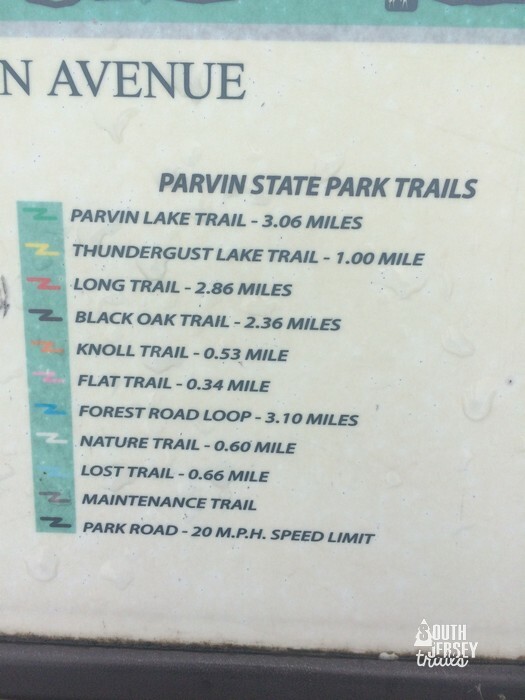 It was a warm day, so we opted from the 3.1 mile Parvin Lake Trail. 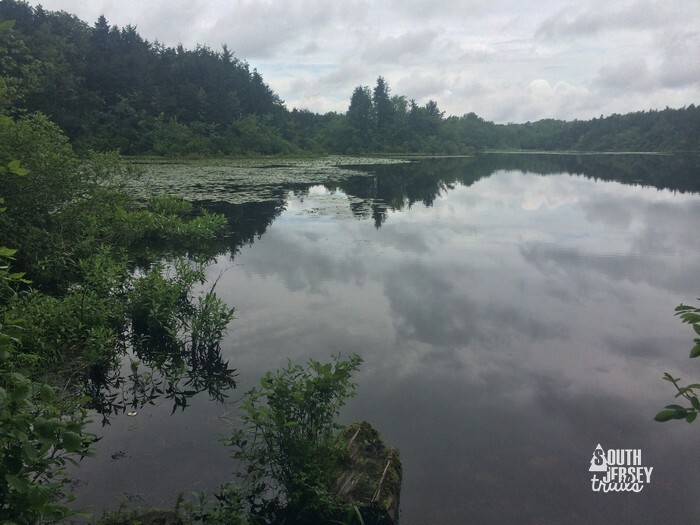 Starting at the entrance gate (for the swim area, you don’t have to pay to use the trails), we turned right and headed west along the green Parvin Lake Trail. The first part of the trail followed the fence along the waterfront area. The trail then left the fence and entered the forest area. 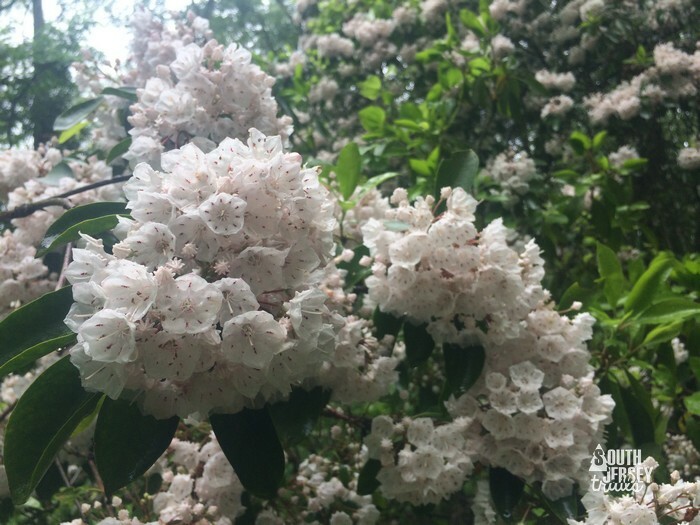 This area was great, because the laurel bushes were in bloom. The “why are you taking my picture?” look. Oh boy, were they in bloom. Further along this straightaway, you’ll enter the area where the old Civilian Conservation Corp (CCC) camp was in the 1930s. Look really closely, and you might see some remains of the camp. If not, the pictures on the sign are pretty awesome too. You’ll then hit a trail intersection with the reddish/orangish trail. Turn left here, walk through the tunnel of bushes, and reach the bridge over Muddy Run. Soon after, you’ll reach another four way intersection, where you’ll hook another left to stay on the lake trail. 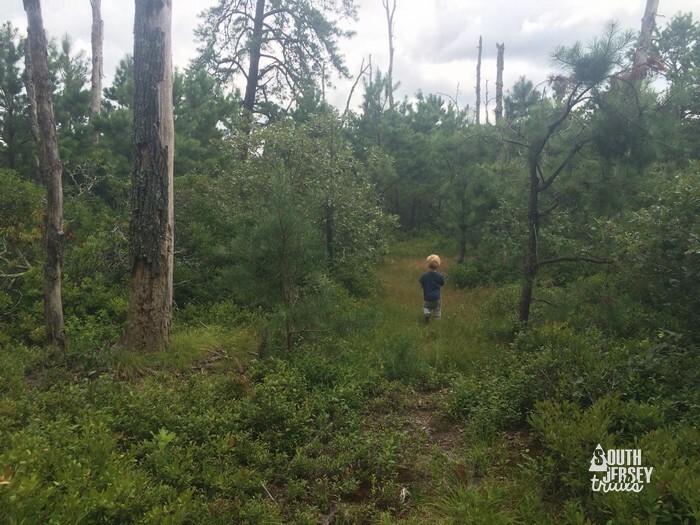 You’ll walk another stretch through the forest until making a sharp left turn to start circling the campsite. You’ll now come up near the lake, which is quite a nice view. Which is good, because you’re about to hit the worst section of the trail. The trail will travel next to some campsites. 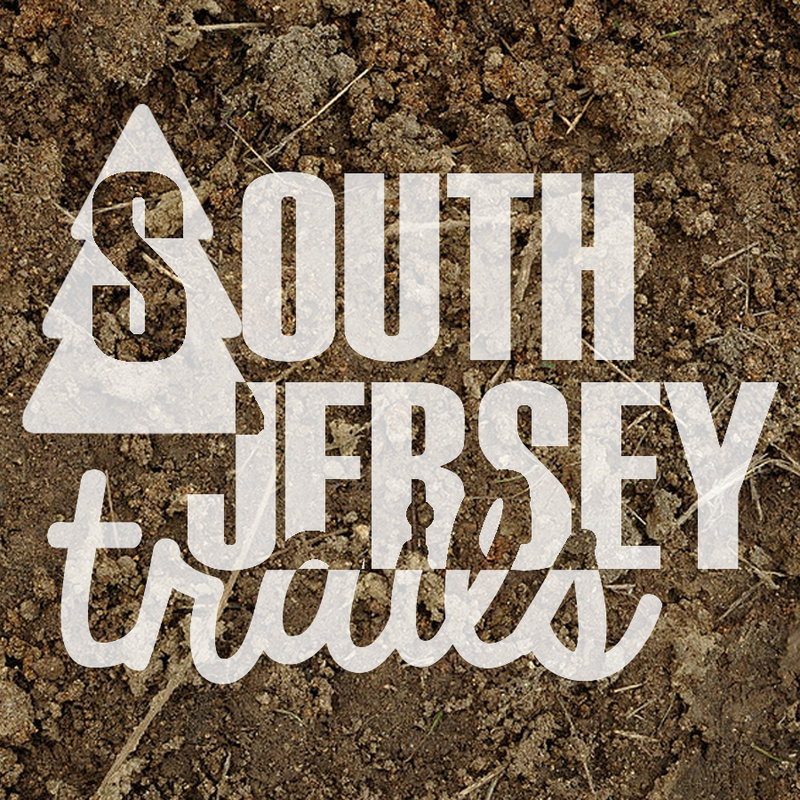 Then the trail will travel directly through some campsites. Finally, the trail gives up and deposits you directly onto the campground loop road, which it will follow for a short while. 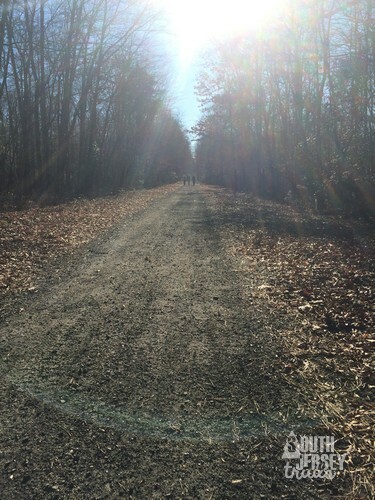 Luckily, right after the worst section of trail comes the best section of trail. 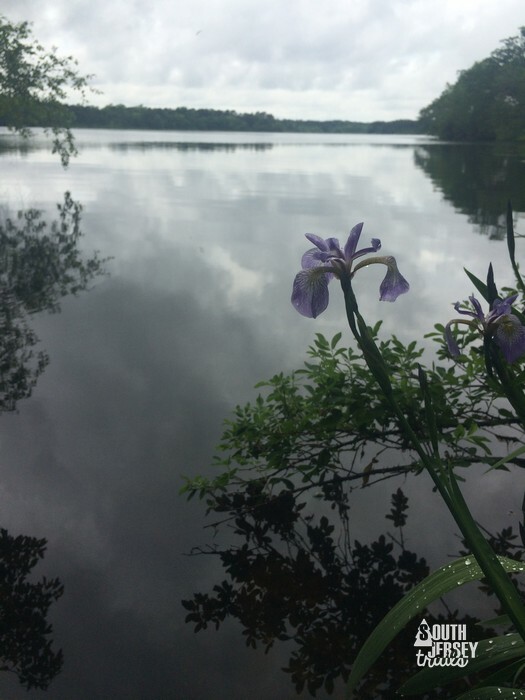 From here to almost the end is nothing but lake views and swamps! First by getting off the park road. Start of the really good stretch of swamp. 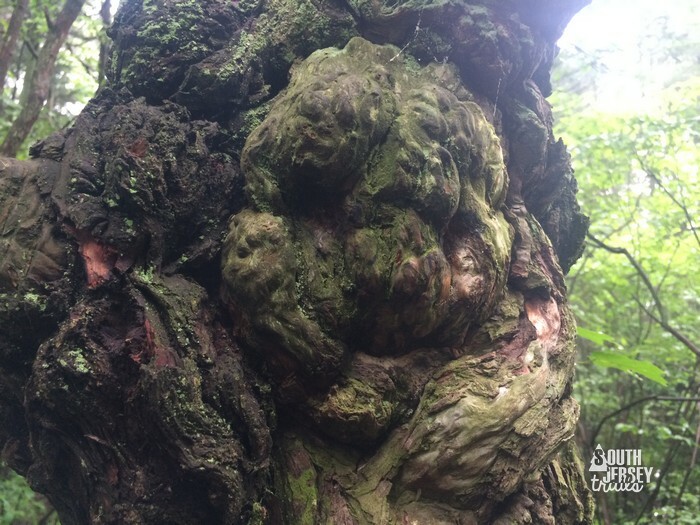 This was on the back of a tree, but a lady that passed by pointed out this awesome face watching the hikers. 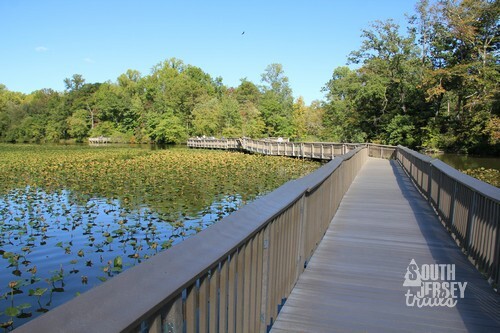 After rounding the back turn of the trail, you’ll cross a bridge and enter the part of the trail that is up against the roads. There are nice views of the lake here, and the dam is pretty great. After the dam, you’ll cross an old CCC bridge. The its a walk across another bridge, through some open areas, and back to meeting the fence for the home stretch. That’ll put you back at the swimming area. Hot day? 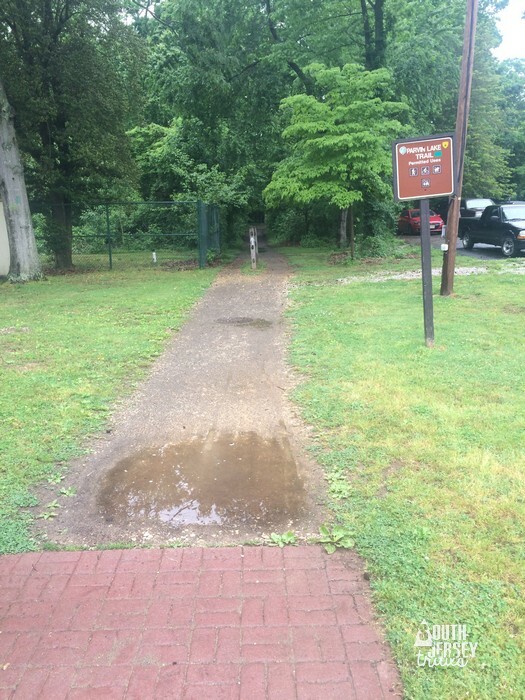 Pay a few bucks to get in and cool off in the lake after your hike! Not much in the way of negatives here. Great set of trails, definitely worth doing. Can’t wait to get back and explore some of the other ones! 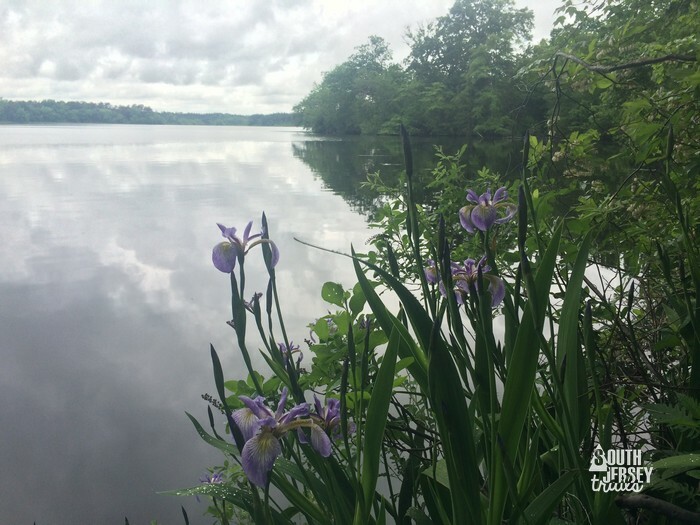 Hiking, History, Outdoors., Salem County, South Jersey, State Park, Wildlife. I haven’t been to Parvin in over 2 years, but I had been to it very many times between 2004 and 2014, during all seasons. No matter what time of year you go to this park, it *never* disappoints! 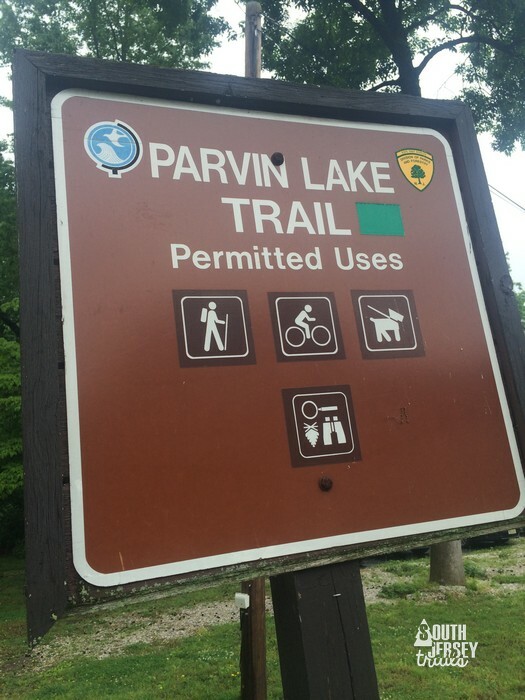 The Parvin Lake Trail is an excellent choice since (other than it being “right there to greet you”), it seems to hit all areas of the park…sort of a “Grand Tour” type of trail. And at just over 3 miles, you definitely get your hike’s worth in! 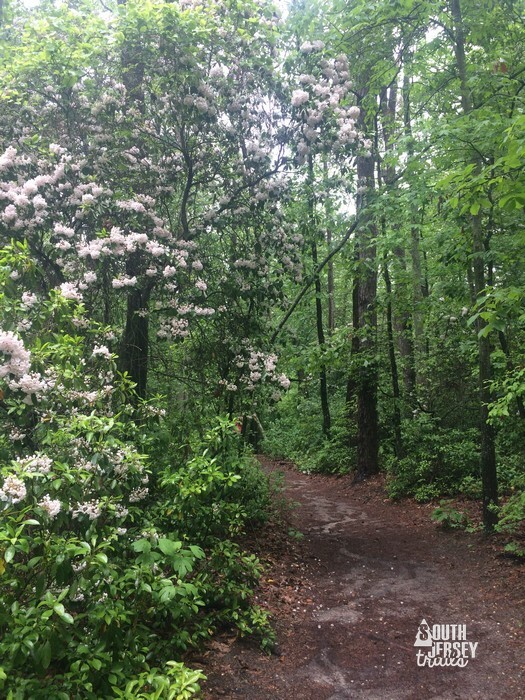 Anyway, that should give you an overview of some of the other trails in the park — if you haven’t figured it out yet…I would *highly* recommend visiting the park again sometime! Happy hiking! Thanks as always! We’ll definitely be back.